Need something simple yet elegant for a bridal shower? 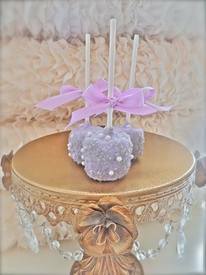 Why not temper some chocolate in the wedding colors and dip and decorate some marshmallows on a stick? Something like this here....no recipe needed- like I said, simple.